You may have asked yourself, “If I feel so good, why should I look so old?” and indeed, you don’t have to! If you are showing signs of facial aging, or appear prematurely aged, your appearance can be predictably turned back 20 years. You can look like a younger version of yourself without any of the stretched, tell-tale signs of having had a facelift. 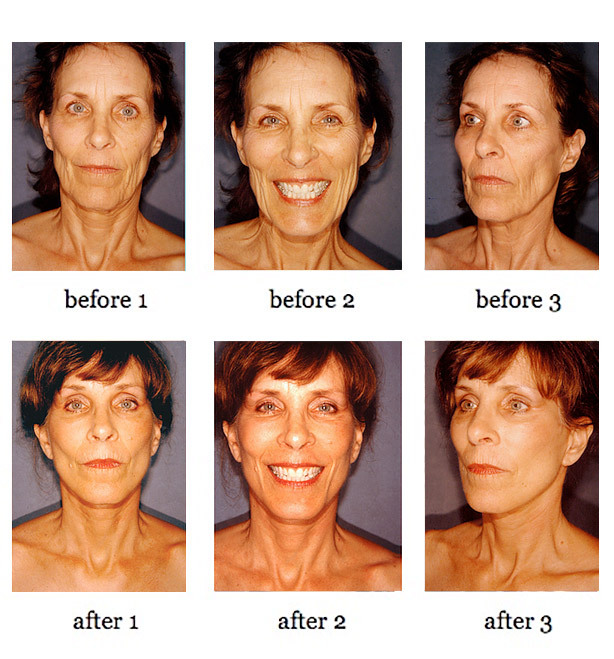 With a well-performed operation, using the most advanced techniques, we are able to provide you a facelift that few can compare to in terms of results. The Fairbanks Facelift has withstood the test of time. If you are considering facial rejuvenation, you should research your options. 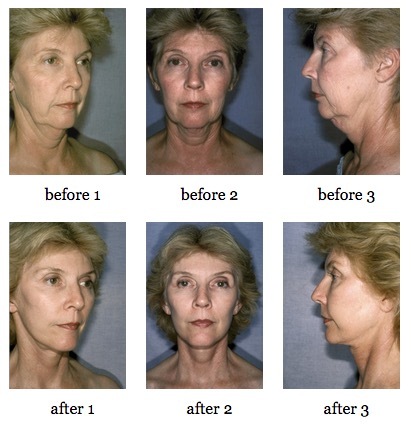 Facelift procedures vary, and so do the results. Beware of the clever catch-phrase quickie lifts (e.g. “smart-lift,” “life-lift,” “lunch-hour-lift,” “S-lift,” “quick-lift,” “mini-lift,” “string-lift,” etc.) These are ALL mini-lifts. Despite the fact that they are heavily promoted, these are outdated procedures. They were performed in the 1920s and 1930s. The results are both limited and disappointing. They are generally performed today by practitioners of limited training. The medical science of facial rejuvenation has come a long way since the 1920s, so don’t settle for hundred-year-old technology when it comes to your health and appearance. At Fairbanks Plastic Surgery, you can expect to achieve optimal results with state of the art science. Facial rejuvenation surgery should not be confused with facial resurfacing procedures, such as laser, chemical peel, or dermabrasion. 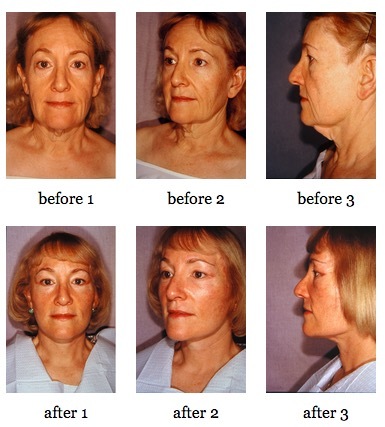 Facial resurfacing refers to skin surface destruction, which then heals on the surface only. 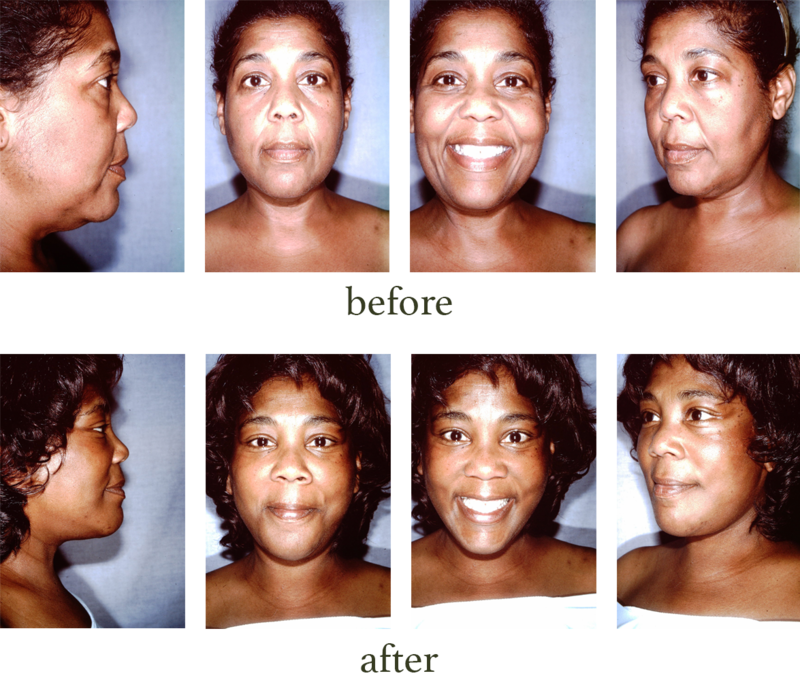 While beneficial in certain cases, you cannot expect to attain anything like the rejuvenation and youthful appearance to be had through a medically advanced and well-performed facelift operation. Resurfacing procedures also take longer to heal and have more down-time. The most important things to avoid when considering a facelift procedure are the tell-tale signs of having had a facelift; the so-called “facelift stigmata.” Only a natural looking, younger appearance should be acceptable to you. 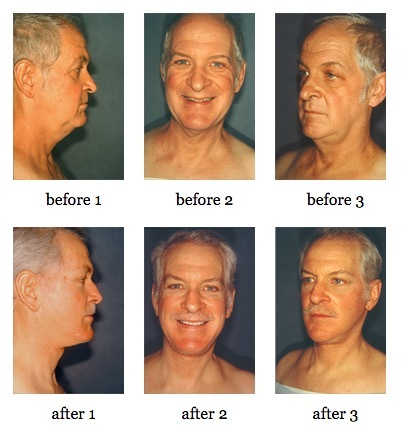 Inferior facelift procedures can result in the loss of sideburns, obvious scars, hair loss, unsightly stitch or staple marks, and even ear deformities. These undesirable results can all be avoided. 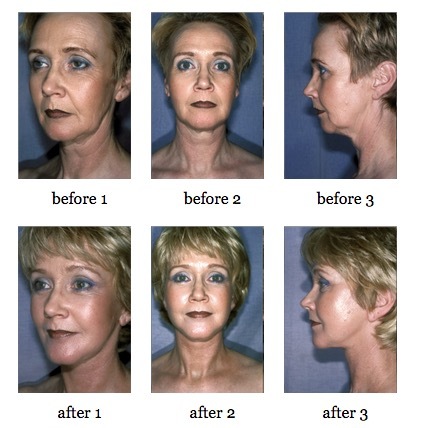 At Fairbanks Plastic Surgery, we have been able to avoid these unsightly features. Our perfected, medically advanced procedure will give you the youthful appearance you want without looking tight, stretched, or strange. We also employ special techniques to minimize bruising and swelling. Patients can generally plan to resume public appearances in 12 – 14 days. If you have been considering cosmetic surgery to achieve a more youthful appearance, be sure to call us. 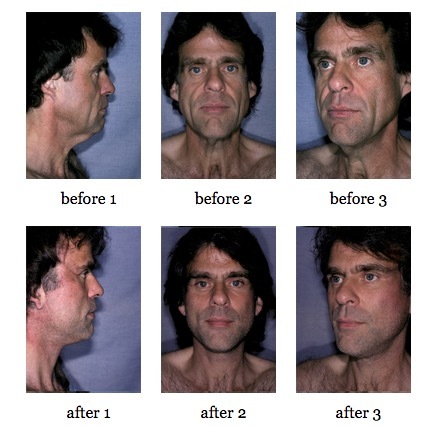 One of our plastic surgeons will be happy to explain the principles of the Fairbanks Facelift and the advanced techniques we have been able to achieve on the basis of facial anatomy. Your surgeon will answer your questions and show you examples of our excellent results. You don’t want to look abnormal, tight, stretched, or strange; therefore, avoid procedures that place tension only on the skin (just look at all the movie stars and celebrities who have had bad facelifts). It is a tragic circus of judgmental error in choosing their surgeon. You don’t want to lose hair; therefore, avoid procedures that raise your hairline (this is a dead give-away that a patient has had a bad facelift). You don’t want to have tell-tale ear deformities; therefore, avoid procedures that deform the tragus—the door over the ear canal—or make the earlobes look pulled; the so-called “pixie-ears” (another obvious sign that a person has had a sloppy facelift). Avoid unpredictable procedures, which rob you of your money and don’t provide the result you want (don’t be ripped off by less-than-predictable sell-job procedures). Above all, avoid the so-called “mini-lifts,” irrespective of what catchy name they may be called by. The mini-lift is an outdated procedure. Mini lifts were performed in the 1920s and 1930s. Facelifting has made major advances since that time. With a super-quick procedure, it is impossible for the surgeon to achieve the result of a deep-plane lift into the anatomic release zone. 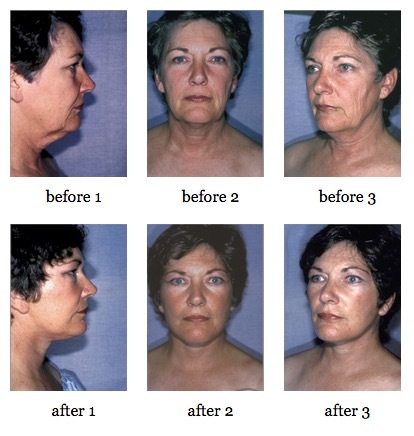 Unlike many other types of facelifts, our facelift is predictable. It achieves a maximum of rejuvenation and youthfulness. It is longer lasting. The stigmata of a person having obviously undergone a facelift can ALL be avoided. The deep-plane facelift into the anatomic release zone is the gold standard against which all other facelift procedures must be compared. If you have undergone a lesser facelift elsewhere, and are dissatisfied with the results, be sure to call the office and come in for an evaluation. We may be able to help you. Be sure to watch the video on facial rejuvenation for patient testimonials.